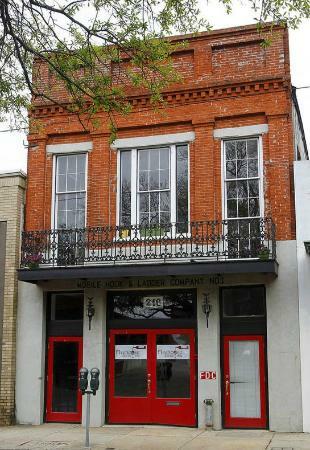 Welcome to the Firehouse Wine Bar & Shop, located in the historic Mobile Hook & Ladder Company No. 1, at the corner of Bienville Square. Opened in April 2014, Firehouse Wine Bar & Shop offers a wide variety of wines by the glass and bottle, including flights from select regions and grapes, as well as numerous craft beers on tap and bottled. Relax and enjoy local art and music at our custom built 24 foot copper bar or semi-private back room, or drop in to grab a bottle to go at our store featuring more than 300 different varieties of wines and beers. Specializing in wines of the truly deep south (Southern Hemisphere, that is), our collection has a strong focus on boutique wines from South Africa, South America, Australia and New Zealand. Our goal is to provide high quality wines from a variety of some of the best up-and-coming vineyards at reasonable prices. In addition, we carry more than 20 local and craft beers on tap and by the bottle. Our wines are complemented by small plates. From an international cheese plate to a traditional English Ploughman’s board—there’s a plate and taste for everyone. Andre Lotz immigrated to the United States from South Africa almost 20 years ago, but didn’t feel truly at home until he settled in Mobile—a city that reminds him of his childhood home of Fish Hoek, located on the southern cape of Africa. Margo Alderton was born in Greece, and grew up in the Middle East, Asia Pacific, and rural Virginia, before bouncing around the East Coast for the past 20 years. 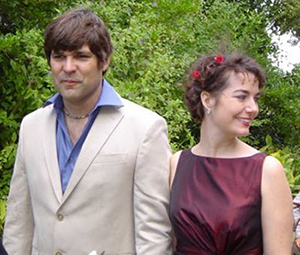 The two met, fell in love, and fittingly, got married on a vineyard in Constantia Valley, South Africa. Thus began their dream of one day owning a wine bar. In 2014, they made it reality in another beautiful southern city by the sea: Mobile. Hello from the Mobile Bay Convention & Visitors Bureau! Good luck with your store and please keep us posted on your progress! wow! So glad I stumbled across an article about your guys. My wife was born in the Cape and I was born in Durban. Arrived in Mobile after experiencing life in UK, Australia and of course, SA. Big question: will you be serving/selling biltong?